This Willis Street opening is a watering hole for the whole herd. Goldmine by Lamason is a treasure trove of healthy (and not so healthy) treats. 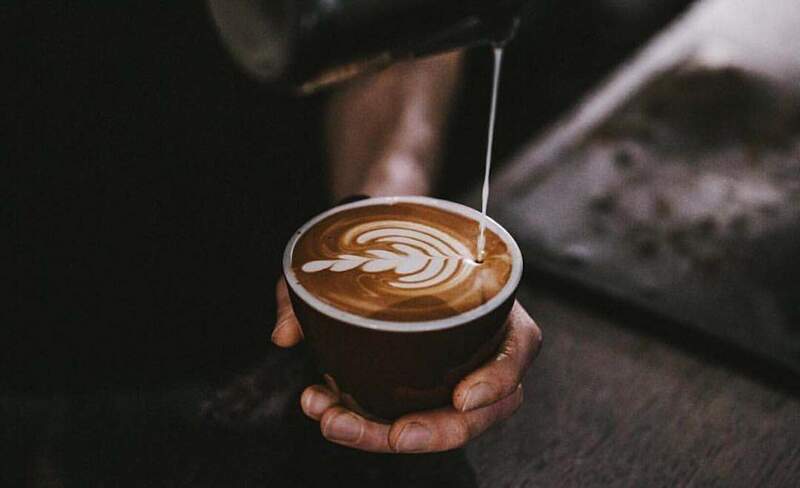 Being the sister site of Wellington's iconic coffee brew bar, Lamason, expect a spectacular cup of joe and sumptuous specialty eats. Located on the corner of Dixon and Willis Streets, Goldmine attracts a diverse crowd. From yo-pro yuppies and students to families and the classic Wellington hipster — upper Willis Street finally has a watering hole for the whole herd. Open from seven in the morning to late afternoon, Goldmine is your new favourite breakfast, brunch and lunch spot. Walking in, it's easy to understand why Goldmine has such wide attraction. Slick concrete flooring, wooden furnishings and nifty overhead lights set the scene. Soft old-school R&B bops underneath friendly conversation and laughter. Yes, Goldmine does lean on the local industrial-chic culture synonymous with many of Wellington's eateries, but it isn't over-saturated. In fact, it would be better described as minimalist. With space being such a rare commodity in Wellington's inner-city food spots, it was strikingly noticeable how much Goldmine has. Light, bright and breezy, it created a comfortable and unintimidating environment. The menu was exactly what I expected: simple, confident and delectably delicious. The breakfast menu consisted of the classics (think buttermilk pancakes and eggs benedict) as well as healthier alternatives such as chia pudding and granola. We opted for the king of breakfasts, the Big Breakfast ($24). Every restaurant on this planet has some sort of big breakfast option, let me tell you why Goldmine's is certainly no silver medal. Enough to feed a small family, you'll find delicately poached eggs on a throne of roasted tomato and soft sourdough bread. Herbed breakfast sausages beckoned to burst out of their skin while thick-cut rashers of streaky bacon sat seductively on the side. A generous drizzle of creamy golden hollandaise served as a decadent accompaniment. Imbued with rich flavours of butter and garlic, the sautéed mushrooms were a definite highlight. The lunch menu was diverse. The balance bowl ($22) is your new best friend. Mixed greens, cherry tomatoes and a protein (chicken/salmon/tofu) tossed in an apple cider dressing — you'll be feeling rejuvenated. Or perhaps you're more like me where the Korean fried chicken burger ($24) really speaks to your soul. Stuffed between two ciabatta buns was a slab of crunchy and succulent fired chicken that was sensationally seasoned. Laying atop sweet, salty and spicy kimchi, the phenomenal fusion of flavours was matched only by the satisfying crunch of pickled cucumber and fresh cos lettuce. A sweet Korean glaze and a hit of chilli made this burger a tantalising tastebud treat. Sandwiches are also on offer for a quick bite. Tempting combinations such as bacon and egg and sauerkraut and pickle were on the menu. Need a sugar fix? Devilish sweets such as lemon meringue donuts and date scones were sitting pretty in the counter cabinet. One of the best features of Goldmine is that there is a large selection of gluten-free, dairy-free, vegetarian and vegan options available. A truly accommodating establishment, from the food to the exceptionally friendly staff, Goldmine is a breath of fresh air in the Wellington food scene.